72. Rabbi Yaakov Dov Bleich, a native of Brooklyn and a Karlin-Stolin hasid, is the Chief Rabbi of Kyiv and Ukraine. He arrived in the country in 1989 and presides over the Great Choral Synagogue in the Podil district of Kyiv, an area of significant Jewish population prior to World War II. In the more than 20 years that he has served in Kyiv, Rabbi Bleich has developed a number of Jewish community institutions, including the Orach Chaim day school, homes for Jewish children from unstable families, a Jewish summer camp, an assisted living residential center for elderly Jews, a matza factory, the Jewish Confederation of Ukraine, the Union of Jewish Religious Organizations of Ukraine, and the Kyiv Jewish Religious Community. However, as described elsewhere in this report, a number of these programs are now jeopardized due to economic stress, Jewish demographic decline, and a lack of receptivity among local Jews to hasidic Judaism. Rabbi Bleich's native American English and familiarity with American culture have facilitated easy access to American representations in the Ukrainian capital. He also represents Ukrainian Jewry in several international Jewish organizations. He remains respected among Ukrainian officials. Yet he is increasingly an outsider, absent from the country for weeks at a time while attending to family matters, fundraising, and participating in international Jewish events. Further, he is a Karlin-Stolin hasid in a country in which Jewish religious life is dominated by Chabad. Rabbi Bleich was out of the country during the writer's visit to Kyiv in April 2014; in his absence, she spoke with Yevgeny Ziskind, the long time administrator of the synagogue. Rabbi Yaakov Dov Bleich was photographed at a Ukrainian conference in Illinois in March 2014. Photo: http://ucef.org/news/3728/. Retrieved October 2, 2014. In a discussion of the current political-economic crisis in Ukraine, Mr. Ziskind stated that he is "very afraid" about the economic well-being of Ukraine and the synagogue complex. Prices have increased substantially already, he said, and the cost of heating will increase 100 percent in the near future. Further, a major source of income for the synagogue, that is, the sale of matza from the synagogue's own bakery, has decreased substantially in recent years. Purchasers are reducing their orders due to the economic crisis. For example, the Joint Distribution Committee purchased 155 tons of matza in 2013 and is buying only 125 tons this year. Chabad, another large institutional customer, also cut its order. Additionally, in order to establish a baking schedule, the orders were submitted in January according to January prices; to reflect inflationary pressures since then, the prices should be higher now, but the contracts are firm and cannot be changed. The hotel that is part of the synagogue complex was "almost empty" in January and February, said Mr. Ziskind. March was somewhat better, in large part because the Jewish Agency held several seminars in it. The previous operators of the ground floor dairy café in the hotel walked out without fulfilling all of the conditions of their lease. A new operator has installed a grill and intends to open a "more serious" kosher meat restaurant in the space, but doubts exist about the viability of such a venture in the current economic situation. Many conventional restaurants have closed. "No one can make money in this environment," said Mr. Ziskind. Yevgeny Ziskind is contemplating a troubled economic future for the Schekavitskaya street synagogue. When queried about local fundraising, Mr. Ziskind admonished the writer, "Don't ask." Continuing to speak about finances, Mr. Ziskind said that many supporters are experiencing financial crises themselves. The uncertainty about the situation is devast-ating; no one knows what to do, people are just waiting for "something" to happen. Rabbi Bleich is trying to raise money abroad; in a time of serious inflation here [in Ukraine], the U.S. dollar stretches much further. In response to a question about antisemitism, Mr. Ziskind said that four attacks against Jewish individuals or Jewish property occurred in Kyiv in December/January, leading to "panic" among Kyiv Jews. These and subsequent antisemitic actions now are seen as "provocations," instigated by people aligned with former President Yanukhovych or Russian President Putin, both of whom want to "prove" that rightwing political parties in Ukraine are assaulting ethnic minorities. The provocateurs want to impugn Ukraine and "justify" Russian intervention. The attackers probably were common thugs paid off by people associated with then President Viktor Yanukhovych. Now [early April], Mr. Ziskind said, it is assumed that President Putin of Russia is behind antisemitic actions in Ukraine. A police response to these attacks is unlikely because the police force "disintegrated" after Maidan; the police were associated with Yanukhovych and, therefore, vilified by protestors. In response, many police went into hiding. The remaining police force is severely undermanned and coordination between police districts is almost non-existent. 73. The writer was unable to speak with Rabbi Moshe Asman, who presides over the famed Brodsky Synagogue (the Main Choral Synagogue), because he was in Israel during the time of the writer's visit to Kyiv. 74. Rabbi Yonatan Markovich operates a three-story synagogue with a total area of 4000 square meters (13,123 square feet) that is part of a larger multi-use building near the central bus station. However, he and his wife Ina probably are better known for the two schools that they operate in Kyiv, a private Jewish day school and a separate school for autistic children. Rabbi Yonatan and Mrs. Ina Markovich are natives of the Soviet Union, each of them having emigrated to Israel as children with their parents. Rabbi Markovich is a graduate of the Technion in Haifa and served 14 years as a computer specialist in the Israel Defense Forces. Mrs. Markovich graduated from an Israeli teachers' college. Speaking of the general economic situation, Rabbi Markovich said that inflation is very serious. Prices are rising every day. Businesses of all types are suffering. Even food markets are losing money, notwithstanding the reality that people must eat. Restaurants and clubs are closing. A well-known hotel fired 102 people in a single day, continued Rabbi Markovich. Foreign trade has plummeted. Protests on the Maidan drew a wide range of participants, including boys from a small yeshiva that he supervises, Rabbi Markovich said. The yeshiva boys even lit a large menorah and sang Chanukah songs on the Kreschatik, continued Rabbi and Mrs. Markovich, and many onlookers approved of the ceremony with cries of "Молодец!" (Well done!). They have seen no evidence of Ukrainian antisemitism; Russian agents have tried to foment antisemitism and have planted false charges of anti-semitism; however, upon investigation, Rabbi Markovich stated, Russian agents were unmasked, certain purported antisemitic incidents never happened, or incidents occurred for other reasons. Don't cry wolf when no wolf exists, he warned. Russian propaganda is massive, he said. However, Rabbi Markovich continued, fear was widespread throughout the city on February 20-21, the peak of the Maidan crisis, when shooting occurred. Police closed the Metro so that people would find travel difficult; gas stations also closed, both to deter driving and to prevent people from obtaining gasoline that could be used for incendiary devices. Many police "ran away" from their positions or took sick leave during this period, leading to increased crime in the city, Rabbi Markovich stated. Robberies and vandalism increased. The police had taken the side of Yanukhovych, explained Rabbi Markovich, and had abused their authority. They feared the wrath of ordinary people who, after Yanukhovych's departure, felt empowered to take revenge. 75. Re-energized by the acquisition of more spacious premises in Kyiv in September 2013, the Masorti (Conservative) movement continues to grow in Ukraine. The program is led by Rabbi Reuven Stamov, a native of Crimea, and his wife Lena, who was born in Rovno, a city well-known in Jewish history, in western Ukraine. The Stamovs met and married in Jerusalem while Rabbi Stamov was studying for the rabbinate at the Schechter Rabbinical Seminary. Mrs. Stamov has a strong background in education. 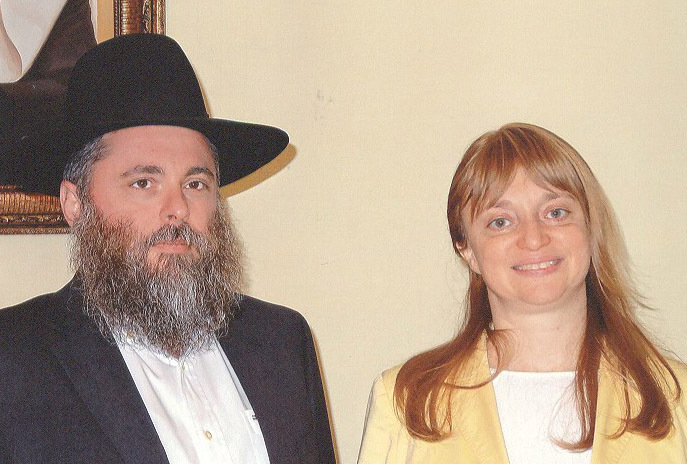 Both natives of Ukraine, Rabbi Reuven and Lena Stamov have three young daughters. The new Masorti quarters remain very modest in comparison to the Great Choral Synagogue of Rabbi Bleich, located nearby in the Podil area of the city, and even with the new space of the Progressive movement (see below), also located in Podil. Nonetheless, the new premises, acquired in September 2013, are a major improvement over the previous space. As was the case with the older Masorti site, the new property is in a basement, easily accessible from the street. The quarters include three large rooms, all of which can be used for multiple purposes, but each of which has a specific designation as well: a synagogue, a room for children and teenagers, and a classroom. The premises also include a kosher kitchen and a lavatory. Much of the necessary renovation was done by Masorti community members, some of whom have specific skills and others who just wanted to help. Although few people are financially comfortable, individuals contributed their own money for supplies. Masorti is a real community, said Mrs. Stamov; people feel at home with the Stamovs and each other, they have taken ownership of community, she continued. When the Stamovs went to Israel on vacation, several people asked for keys to the property and came in on their own to do work on the premises. The center is наша гордость (our pride), she said. 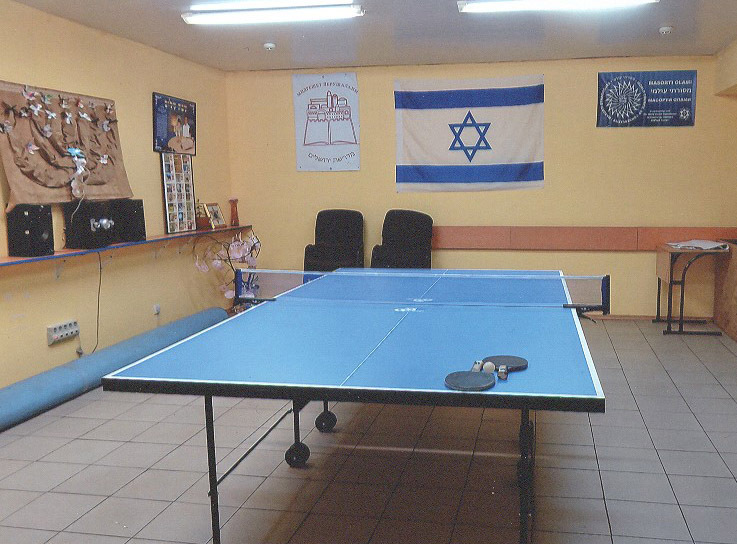 One room, shown at left, has been designated for children and teenagers in the Kyiv Masorti center. On an average Friday evening, the Stamovs said, about 45 people come for Shabbat services and a dinner that follows. Ten women from the community cook and organize the meal. A smaller group gathers on Saturday; the Shabbat observance includes lessons for adults both before and after havdala (the end of Shabbat). The number of Friday evening attendees dropped to about 25 people during the worst period of the Maidan revolution, they acknowledged. About 80 people participated in Rosh Hashanah services, creating conditions that were somewhat crowded. The Center offers three ulpan classes, which are operated independently of the Jewish Agency, the Israel Culture Center, or any other group. On Fridays, Mrs. Stamov leads a weekly Torah portion class for children just before Shabbat services begin, and Masorti operates a day-long Sunday school for children and teenagers, featuring lessons in Jewish tradition, Hebrew, English, and Jewish music. Once monthly, with the help of the Jewish Agency, the Sunday school becomes a family day that includes programs for adults and families. A public hall was rented for a Purim celebration, attracting approximately 100 people. Two Pesach seders held in the Center drew 100 people in all. Additionally, said Mrs. Stamov, Masorti organized a family program for the last day of Pesach. Continuing a tradition of several years, the Masorti community organized a Chanukah Shabbaton of 3½ days in Berdychiv, a storied Jewish town southwest of Kyiv. Thirty-five members of Kyiv Masorti, all of whom paid at least a portion of their expenses, joined members of the small Berdychiv Masorti community in celebration, learning and practice of Jewish tradition, and relaxation. The conduct of children's programs at the Center has been greatly enhanced by a volunteer who has moved to Kyiv from Donetsk in eastern Ukraine, the Stamovs said. This woman had been a teacher in the Chabad school there and has brought valuable experience to Masorti. A student group, which consists mainly of Camp Ramah veterans, is planning a Shabbaton. 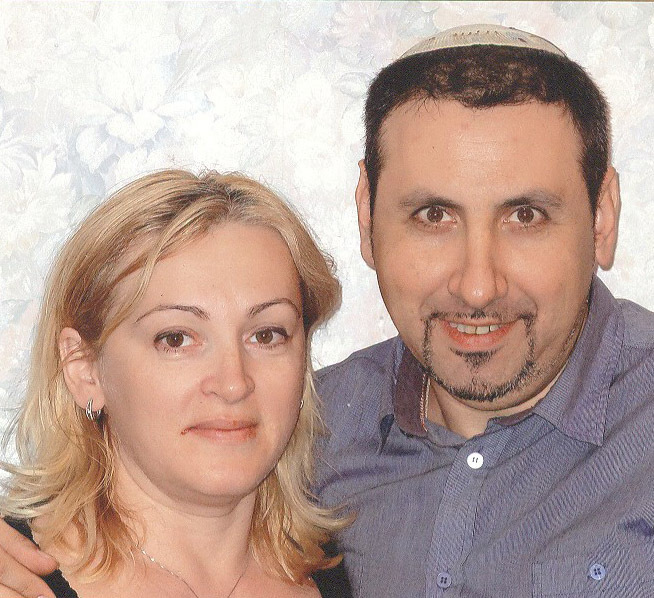 The Stamovs feel buoyed by increased financial support from international Masorti fundraising efforts. Additionally, someone in their local community pays the cost of utilities in the Center, and another local donor provides office supplies. Nonetheless, funding remains very tight for Camp Ramah Yachad, the Masorti summer camp, and other programming. Responding to a query about the Masorti program in Odesa, the Stamovs said that it has grown in the last year. 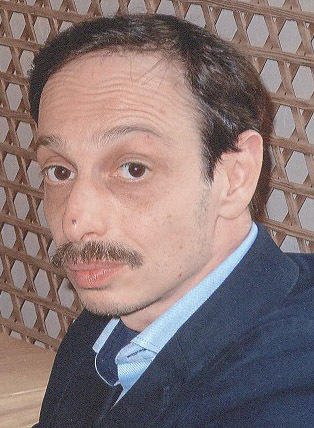 The effort is being led by Leonid Kantor, a trained Masorti professional, who has been joined by Volodya Vachsman, a new local leader who has obtained premises for the group. Possession of physical space has enabled them to operate more programs than when they were moving from one rental café to another for their activities. See the writer's Observations on Jewish Community Life in Ukraine - Report of a Visit in April 2013, pages 26-27, for more information about Masorti Judaism in Odesa.